Shuhei Yoshida of Sony Worldwide Studios confirms that always online was never on the cards for the PS4. "Did we consider it? No, we didn't consider it," says Shuhei Yoshida of Sony Worldwide Studios, thus putting to rest any rumor that the PS4, Sony's much-touted next-gen console, might require an always online internet connection. It wouldn't be good for Sony's customers, Yoshida explained, which meant that always online wouldn't be good for Sony. "Many countries don't have robust internet connections," said Yoshida. "It makes sense for people to have internet connections to play online games, but for offline games there are many countries that we saw do not really have robust internet." 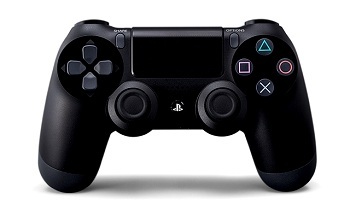 Controversy over always-on connections have been raging ever since the new consoles were announced, but this is the first time a senior executive at Sony has confirmed, unequivocally, that its console won't need one. Microsoft has yet to positively confirm that its Xbox 720 / Durango won't need an always-on connection, though there have been leaks that suggest it might be possible to play single player games without an internet feed. If the Xbox 720 did ship with an always-online requirement, and if Sony were to follow through on its boast that its launch line-up will be the strongest in its history, the PS4 could end up with a significant advantage over its rival console.